Here’s something to share about regarding catching up with the craze blaze of entrepreneurship phenomenon which is currently booming up in the country. 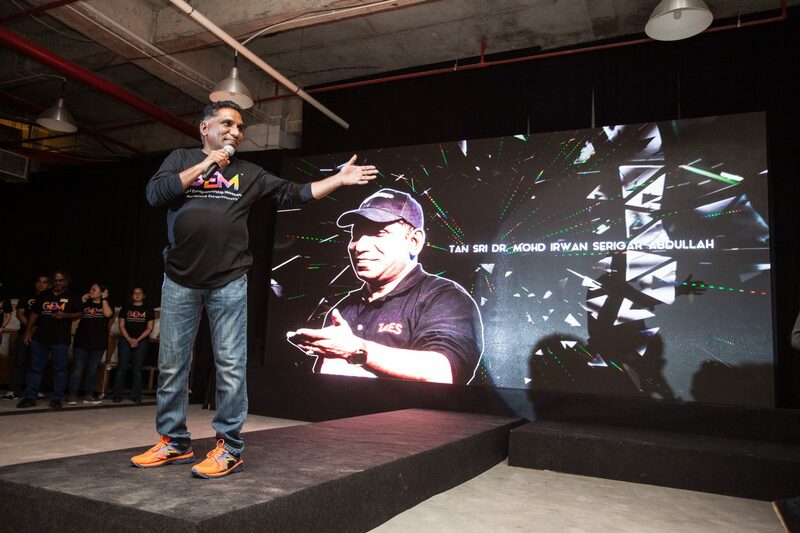 Last night, a one-of-a-kind movement has been launched with the support by the Ministry of Finance, known as the Global Entrepreneurship Movement (GEM) with Tan Sri Dr. Mohd Irwan Serigar Abdullah which is the Secretary General (Treasury) representing the Ministry playing the role as the Patron of the Movement. The launching of the Movement took place last night at Makespace which is located within the Quill City Mall, KL whereby GEM serves as a Non-Government-Organisation providing a platform, collective of the ecosystem which include entrepreneurs of different industries from social entrepreneurship, technology, halal to creative sectors to converge. Alongside the key functions played by GEM, the Movement also aspires to build, promote, internationalize and connect the Malaysia based entrepreneurship movement and ecosystem to the world which includes the investment sectors, business angels, private equity firms, venture capitalists and the likes. “I’m joined on this NGO by community leaders from different networks who will support a strong partnership for Malaysia and our entrepreneurs. We’ve got some incredible entrepreneurs, business leaders and innovators who are present today. They see the promise of internationalising Malaysia and will support GEM’s vision where no one is deprived or denied from being an entrepreneur.“, said Tan Sri Dr. Mohd. Irwan Serigar Abdullah. To kick-start things up, GEM is set to invest in a capacity building programme via a 2-day hackathon workshop for 300 university students at GREAT Kuching in Sarawak this April 2-3, 2016. GREAT Kuching is the ultimate gathering for all stages of entrepreneurs, startups and funding vehicles led by the National Strategic Unit (NSU) and the National Entrepreneur Development Office (NEDO), supported by theMalaysian Global Innovation and Creativity Centre Bhd (MaGIC). There will also be a year long programme done in partnership with Malaysia Debt Ventures Bhd (MDV) to assist entrepreneurs who have failed to rebuild their dreams, to be back up on their feets. “GEM will be the first NGO that focuses on connecting, networking whilst fostering collaborations to internationalise Malaysia’s entrepreneurial ecosystem,” added Tan Sri Dr. Mohd Irwan Serigar Abdullah. 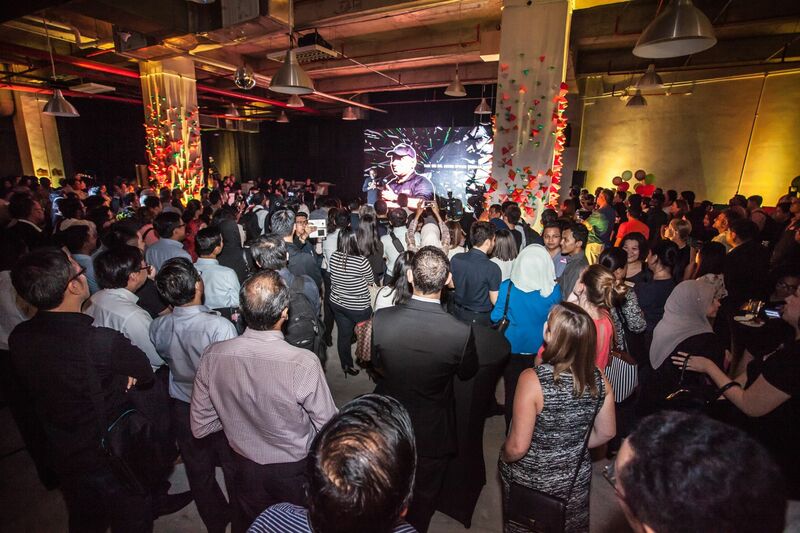 The launch event continued with pitching rounds from ecosystem players, a fundraising auction comprising of paintings by Johan Ishak and dinners with celebrities which are Bront Palarae, the KRU brothers – Yusry and Edry Halim, and Joe Flizzow. Attendees were also seen fast to sign up as members for GEM with complimentary legal services being provided for the first 50 signups. Entry fee into the GEM starts from RM50 and is open to students, individuals and companies. Next Post Specially Flown from the UK to Malaysia!